The other two warships are the destroyer type Wuhan and a supply ship, Weishanhu. China will send its navy ships to Somali waters to combat pirates, the Foreign Ministry announced on Thursday. It will be the first operation of its kind and the first active deployment of the country’s warships beyond the Pacific. “We have decided to send navy vessels to crack down on Somali pirates Preparations are under way,” Foreign Ministry spokesman Liu Jianchao told reporters at a regular news briefing without giving details of the mission. Two destroyers and a large supply ship would be part of the Chinese fleet, Beijing-based Global Times quoted unnamed maritime sources as having said yesterday. The ships will leave Sanya, Hainan province, after Christmas on a three-month mission. “As a friend of the Somali people and victim of piracy,” China can play a vital role in combating the scourge in Somali waters, Somalia’s Parliament Speaker Sheik Aden Madoobe told Xinhua in the southern town of Baidoa, the seat of Somalia’s parliament. Peng Guangqian, a senior expert with the Academy of Military Sciences, said the Chinese navy has “full confidence in fulfilling the new mission”. China will send three warships to the waters offshore Somalia to fight pirates attacking vessels in the Gulf of Aden. 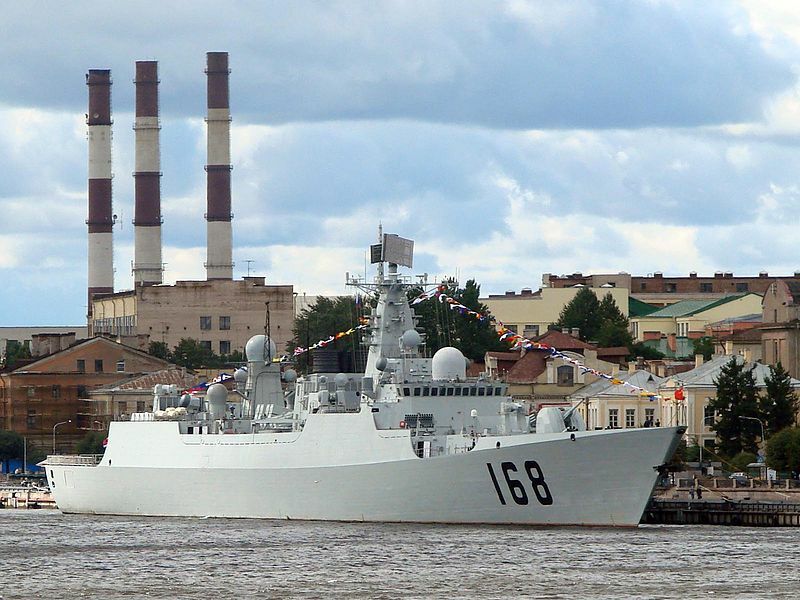 China’s Ministry of Defense will send two destroyers and a supply ship to the Gulf, the official Xinhua News Agency reported yesterday, citing Liu Jianchao, a Foreign Ministry spokesman. The vessels will depart from Sanya in China’s southern province of Hainan on Dec. 26. Pirates in the area have increased attacks on ships using the Suez Canal, and vessels transporting oil from Sudan and Saudi Arabia to China. The United Nations on Dec. 16 authorized a resolution that allows governments to pursue the brigands into inland Somalia. “Chinese naval vessels will strictly follow UN Security Council resolutions and international laws,” Xinhua cited Liu as saying. Somali pirates have attacked about 120 boats in the region this year, seizing at least 40 vessels and collecting more than $120 million in ransoms. Some 20 percent of Chinese ships passing through the area between January and November were attacked by pirates, Xinhua reported. China’s ships will join vessels from the European Union, which on Dec. 8 approved sending a naval force to the area, the 27-nation organization’s first such mission. They will patrol an area that is three times the size of France. The pirates operate along Somalia’s Indian Ocean coast, as well as in the Gulf of Aden, a transit point for the 20,000 ships a year that use the Suez Canal. Somalia is in its 18th year of a civil war that has forced more than 3 million people into exile and displaced at least 800,000. Its Western-backed government is fighting the Islamist al-Shabaab militia for control over the nation of 10 million people, a contest that may weigh on the effectiveness of today’s Security Council action. Thousands of Chinse military personnel have been participating in a “massive” People’s Liberation Army (Navy) and Air Force anti-pracy training exercise in the South China Sea. China has been widely criticized for not contributing any military forces to anti-pirate patrols in the vicinity of the Gulf of Aden where Somali and Yemeni pirates are taking ships hostage and ransoming them back to owners for hundreds of thousands of dollars. China worries about interruptions of its economically vital shipping. World-wide, the piracy has caused insurance prices to soar for the shipping companies — costs passed on to consumers on a global scale. The North Atlantic Treaty Organization (NATO), the European Union(EU), India, Russia and others have ships engaged in anti-piracy missions in and around the Gulf of Aden. 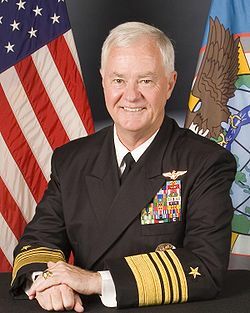 The general’s views came after two Chinese ships – a fishing vessel and a Hong Kong-flag ship with 25 crew aboard – were seized by Somali pirates in mid Nov.
Jin gave no sign that such a naval mission was under immediate consideration, but he said China’s growing influence has made it likely that the government might use its forces in security operations far from home. “With China being a major world economy, it’s very difficult to say that security problems across the world have nothing to do with us,” Jin said. China has many capable warships that could contribute to the anti-piracy mission of the international community. Above: a Guangzhou class destroyer. While the military strategist is urging an active deployment, other scholars think the government should be cautious before a decision is made. The Chinese military vessels should go there “only within the UN framework,” said Pang Zhongying, a professor of international relations with Renmin University of China. Since July, the UN has adopted three resolutions urging the international community to respond to the piracy problem off Somalia; the EU started an anti-piracy mission earlier this week in response to the UN resolution. “Non-intervention is the principle of China’s foreign policy, which has not changed,” Pang said. However, China is trying to “play a more constructive and responsible role in international conflicts and other crises,” he said. “China is now trying to balance its old principle and the new reality,” he added. China has never dispatched any troops for combat missions overseas. The Chinese army personnel joining UN peacekeeping missions are engineering and medical staff, or police, apart from peacekeepers. “Non-intervention is in the process of slow change,” Pang said, adding China is trying to cooperate with international organizations such as the UN and the African Union (AU) in solving regional and international conflicts, Pang said. Pang added that he also had some concerns over the Chinese navy’s capability. “I don’t think the Chinese navy has the capacity to counter unconventional threats far in the ocean,” he said, adding supplying and refueling in the Indian Ocean are key challenges. However, some military strategists do not agree. Professor Li Jie, a navy researcher, said the Chinese navy has proved that it is capable of such missions. In 2002, two Chinese vessels spent four months on a global tour, the country’s first. “Also, the UN resolutions mean that such deployment is legitimate,” Li said, noting that rampant piracy is a problem not only for other countries, but also for China. “I think we should go there,” he added, acknowledging that command and communication will be challenges for such multi-national missions. “But the mission can also be good training for the Chinese navy,” he said. Sending naval vessels to the waters off Somalia may raise some concerns and provide ammunition to “China threat” demagogues, he said. Instead, joining a prospective UN peacekeeping force is a better choice. The U.S.-led Combined Task Force 150 has been patrolling the waters in question since 2002 and has expanded its mission beyond counterterrorism and counter-proliferation to combating piracy. CTF 150 constitutes mainly the U.S.S. Theodore Roosevelt carrier strike group and, on a rotating basis, several ships from other, primarily European, countries. To protect its own shipping, Malaysia–as well as Russia and India–has sent military vessels to the region. NATO and the European Union, too, are seized of the problem and are deploying four ships to loiter in the Somalis’ area of operation next month. Political will among major and regional powers, then, does not appear to be the issue. Rather, the real bugbears have been a lack of central coordination–in particular as to adherence to international law, optimal deployment of resources and rules of engagement. In June, the United Nations passed a resolution making it an international duty of member states to fight piracy and allowing them to pursue Somali pirates into Somalia’s territorial waters–in effect denying the pirates legal maritime sanctuary. That theoretically solves the international law problem. But, with nations like India and Malaysia responding only episodically to emerging threats, sustaining a maritime presence large enough to deter or respond to an appreciable number of pirate attacks remains difficult. And even if all of the affected nations committed to standing patrols, their oversight of various sectors of the pirates’ operational space would have to be determined by a central command to maximize geographical coverage. Differing national rules of engagement would have to be better harmonized and perhaps rethought. For example, a U.S. crew can act preemptively only once it determines pirates are “in the act” of piracy, yet they must back off once hostages have been taken for fear of imperiling them. It might therefore make sense to establish procedures whereby an American ship making initial contact with a pirate vessel can delegate interdiction responsibility to a vessel with more liberal engagement policies–say, a French one–or indeed to consider liberalizing rules of engagement. Whatever the particular solutions to these essentially operational quandaries, the first step is diplomatic. The U.S., by default, has assumed primary responsibility for policing the waters off Somalia and its vicinity. Now it should call on all governments and private concerns with interests in the safety and security of those waters to meet and determine precisely how to achieve them. You are currently browsing the archives for the PLA category.